Pink Gazelle Productions: Authentic Lives…Authentic Works » To What ELSE Did This Widow Awaken To? Even the worst moments of your life? Yup. Even though the horrific moments may be dreadfully bitter pills to swallow, I suspect they hold tremendous potential for teaching us who we are, what we love and perhaps even a little bit about the bigger picture we are all a part of. On the day of John’s fall – Sept 29th, 2000 – I was pretty much forced to live moment by moment because I knew, very early in the game, that I had precious few moments left with him. Despite how much it hurt spending the day with him as he succumbed to his brain injuries, looking back I am so glad I had the intuitive wisdom to experience each and every moment, painful though they were. 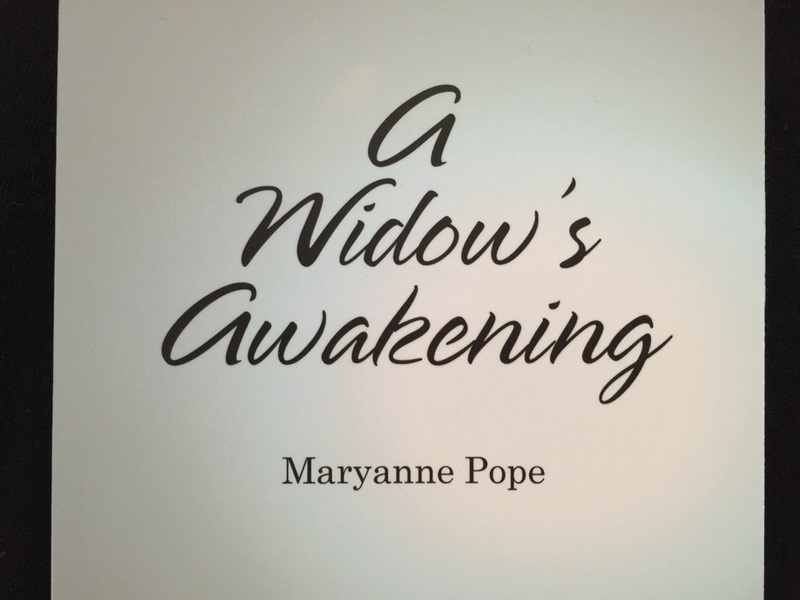 And so, in addition to the realization that life is precious and can end in an instant so we best be making the most of our lives, what else did this widow awaken to? Well, for starters, that there is a heck of a lot more going on in this life than we are aware of! Now, I’m sure shock had a huge part to play in some of what I experienced on the day of John’s passing – and in the weeks to follow. But whether it was shock, sorrow, fear, devastation or some combination thereof that was the portal to my “awakening” matters less than the fact that I was awakened. Well, to some sort of…alternate level of reality, I guess – or a different level to our reality might be a better way to put it. Right from the get-go, it felt like I had been launched into some sort of heightened state of awareness. An ER doctor comes in and gives us an update: critical but stable. That’s one way to put it. The car is totaled but we’re salvaging what parts we can, would be another. “When can I see him?” I ask. When the social worker and I arrive at a set of doors, he takes my arm. Like arriving at a party too late and entering the banquet room to find the busboys clearing the tables, no one has to tell you it’s over – you just figure it out. By the time I get to the strangely inactive emergency room, they’ve obviously given up on trying to save Sam and are instead merely stabilizing his body. Before I continue, I need to explain why I was able to spend the day with John as he succumbed to his brain injury – versus saying goodbye to his corpse at the morgue. It was because of the quick actions of the K-9 officer John had gone into the building with. After John had fallen through the false ceiling and hit his head on the concrete floor of the lunchroom, the K-9 officer had found him and immediately started CPR, getting John breathing again. So although John himself couldn’t be saved, the actions of the K-9 officer meant that John could be put on life support for the purpose of organ donation. It also meant that I, and all our family, friends and colleagues, got the chance to say goodbye. However, since John was declared legally brain-dead early in the day, it was obviously a very one-sided conversation he and I had. And yet I got the distinct sense that on some level, our souls were communicating loud and clear. That’s what my play, Saviour, explores. Spending the day with John as he passed away was, by far, the absolute worst day of my life – but it was also heartbreakingly beautiful. Not only did I feel a connection to him that was so much deeper than our human relationship as husband and wife, I could also feel the love from so many people who were, understandably, rather concerned about me. After spending seventeen hours in the ICU with John, the time came for me to head home – and start my new life as a young widow. But that sense of awakening to a larger reality, experienced in the hospital, was just the beginning of a new way of perceiving my connection to the world – and the people – around me. It’s like I had begun to experience…the wholeness of everything, if that makes sense. 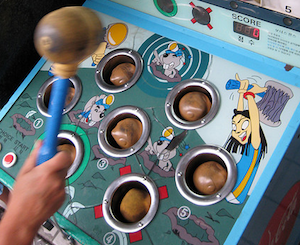 But I could just see tiny little snippets of the bigger picture, here and there – kinda like the “Whack a Mole” game at an amusement park. You know the one where you are holding a foam-covered hammer and a mechanical mole pops up and you whack it down but then another mole pops up from a different hole and you try to whack that down? All the moles, of course, are just below the surface and although they are individual moles, they are all part of the same basic machinery. That’s sort of how I started to perceive the world around me. This may partly explain my experience of being in two places at once in the above passage from A Widow’s Awakening. Perhaps my soul was like a mole who temporarily popped out of its hole (my body) just long enough to see a glimpse of the bigger picture and then popped back down again? Or…I may have been having some sort of psychological reaction to a significantly traumatic event – and my mind was starting to do wonky things in response to the horrific reality I knew was waiting for me behind those emergency room doors? Or maybe it was a bit of both? If so, what was it like? What did you awaken to? Hi Cathy! Thanks so much for reading my Life After Loss blogs and for taking the time to comment. Yes, you are so right about being in the moment…it is a fine balance when writing about the past, for sure. I tend to visit the past when I am writing and then jump back into the present in my everyday life. My real challenge is NOT always be thinking about the future!